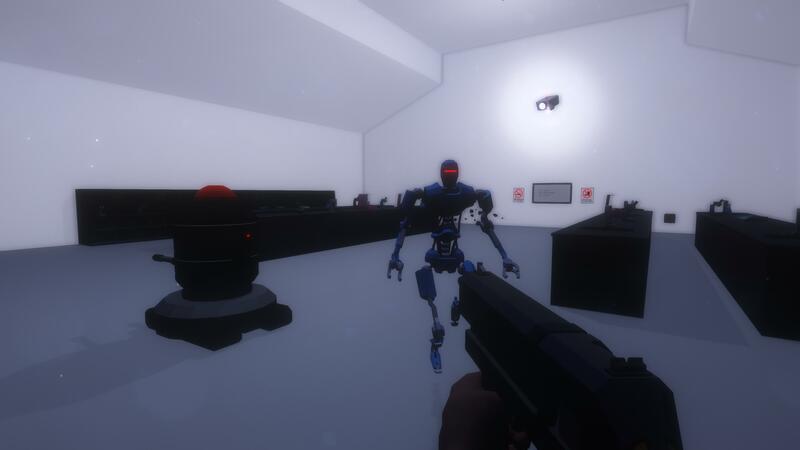 Spirits of Xanadu tries to follow in the footsteps of 2001: A Space Odyssey and Deus Ex. To boldly go where no indie game has gone before…. Here’s how to grab my attention if you’re a game developer. Simply claim that your game is inspired by the likes of System Shock and Deux Ex, as well as literary and movie works such a Solaris and 2001: A Space Odyssey. Bam – you’ve got my attention. Spirits of Xanadu’s announcement did just that, so I was immediately ready to see how much this indie game would be able to deliver on promises like that. Spirits of Xanadu centers around an abandoned starship in a remote corner of the galaxy. The ship’s systems are still active, but there has been no sign of the crew for months. Note that this is quite similar to the plot of Event Horizon… though this isn’t a horror/thriller game. Instead, the game takes somewhat of a retro look and lets you explore the ship in order to figure out what happened – solving puzzles and fighting through action/shooter sequences along the way. The game doesn’t feature mind-blowing next gen visuals and doesn’t go for the psychological depth that the Solaris and 2001 would suggest, but intricate storytelling is definitely front and center here. Without spoiling anything – expect several different plot lines to intersect and unravel all at the same time, eventually leading to one of multiple endings. Spirits of Xanadu isn’t especially long, but was developed by a small team whose focus was on telling their story – inspired by the classic works outlined above. I don’t expect the game to be listed among those classics of the genre anytime soon – but the love and inspiration is clearly there.